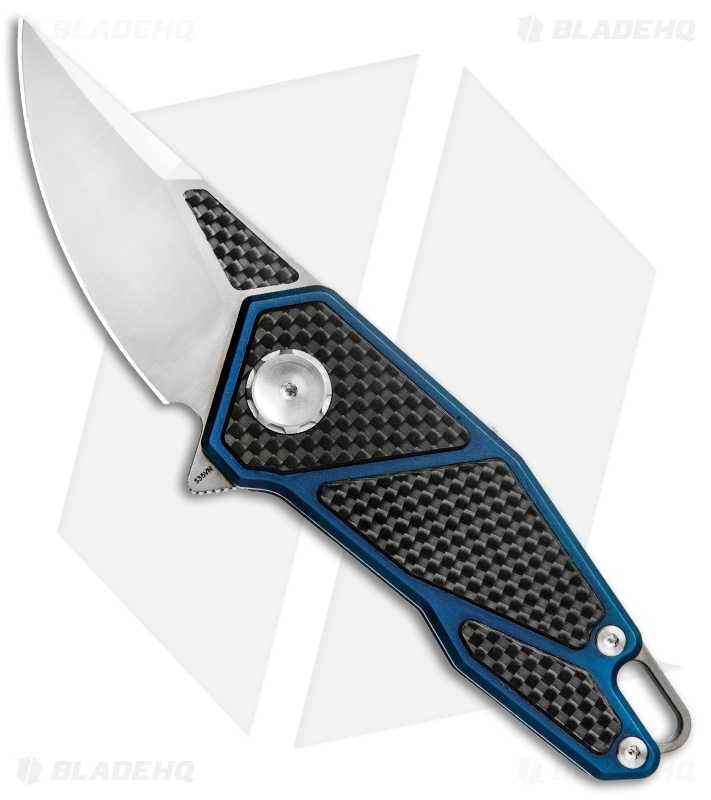 The ZKC A-01 is a stout frame lock knife with an ergonomic, carry-friendly build. It features a CPM-S35VN satin finished blade with carbon fiber inlays and smooth flipping action. This model has a blue anodized titanium handle with carbon fiber inlays. Premium CPM-S35VN blade steel provides superior edge retention. 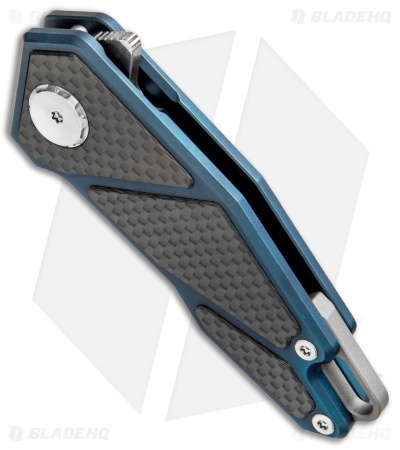 Ergonomic titanium handle offers a secure, comfortable grip. 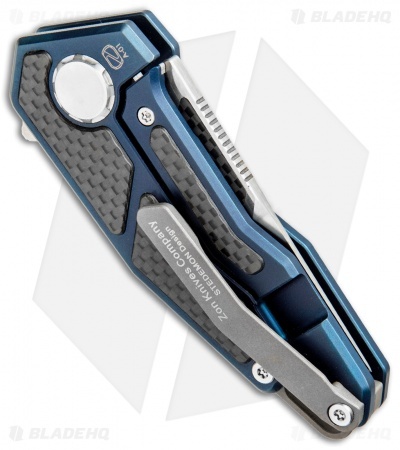 Fits comfortably in the pocket for everyday carry.